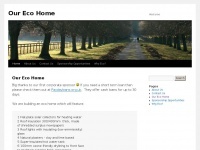 In total 0 links were found which refer to Ourecohome.org. The most important link sources for this website are Healthforlifeblog.com and Health-news-online.org. The homepage of Ourecohome.org and the subsite are most referenced by other websites. The table shows the most important links to Ourecohome.org. The table is sorted in descending order by importance. The table shows websites of Ourecohome.org, which are often linked by other websites and therefore they are classified as important content. The web server with the IP-address 64.130.33.199 used by Ourecohome.org is owned by pair Networks and is located in Pittsburgh, USA. This web server runs a few other websites, mostly in the english language. The websites of Ourecohome.org are served by a Apache server. The HTML pages were created with the latest standard HTML 5. Due to the robot information on the webpage, the following actions by webcrawlers are not allowed: following the links.